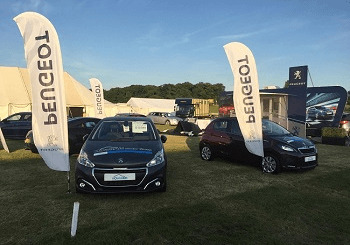 On Wednesday 16th August, Howards will be attending the Gillingham and Shaftesbury Agricultural show and we will be bringing a great range of our cars for you to take a look at, as well as a little splash of excitement…. The G&S Agricultural show is one of the largest one day agricultural shows in the South with regular attendance reaching 24,000 people and with over 520 exhibition stands to attract visitors of all ages, there is sure to be something for everyone. The exhibitors are offering everything from tasty food and drink stalls of which there over sixty, including gluten free options, to livestock competitions and farming supplies, as well as a whole host of agricultural attractions. This year’s event is set to be one of the biggest yet and Howards are thrilled to be taking part in the event. The line-up for entertainment is nothing short of impressive either, with the introduction of the brand new Education Area - Farm, Food & Fun. There will also be a full day of showing and show jumping classes for the equine enthusiasts and lots of other animal events throughout the day to entertain both children and adults. Howards will be there with a range of stock from their Peugeot dealerships for you to take a look at and see what we have to offer. Our staff will be there to answer any questions and enquiries regarding our cars, and will be happy to book in further consultations or test drives to ensure you are making the right decision for your next car. If you want to take a look at our range before the event, check out our range online or come down to the showroom and get a first look of what we have in stock. - Comment - tell us what you like to do with your summer days! - Pictures and videos are welcome! For more information visit the Gillingham & Shaftesbury website. Here’s a look at last years show!